The five types of triangulation. 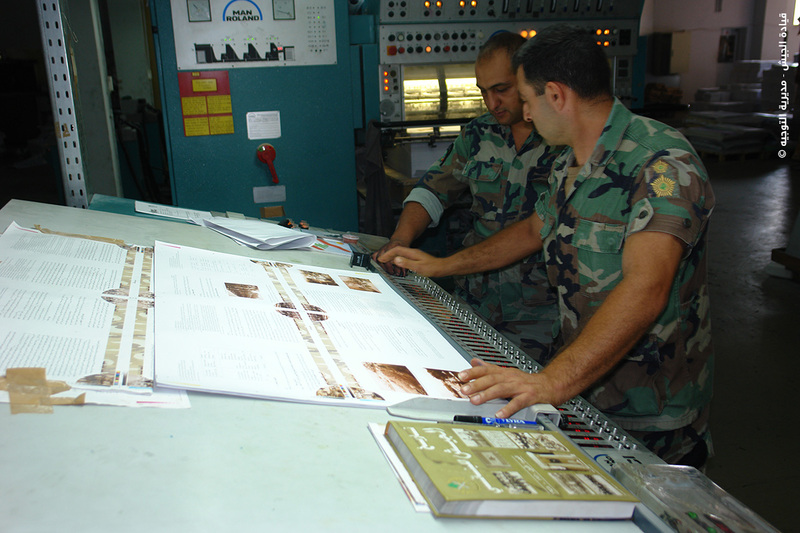 Organization and printing of the unified map of all the Lebanese territories using a 1/20000 scale. Correction and completion of the unified map of all the Lebanese territories using a 1/50000 scale. Providing the Land Registry Office with maps using photographic transformation with measurements between the scale of 1/500 and 1/5000 for all unservyed land. Organizing maps with countour lines and different measurments according to the demands of techinal agencies, ministries and independent offices at their expense in order to study projects such as irrigation, forestation, roads, electricity, urbanism, opening tunnels… etc. Setting up an office for photographs and maps where the material can be stored in collections to supply ministries and individuals in exchange for a fee for all maps and photgraphs with the option of enlarging them with the exception of survey maps which can only be provided by the Land Registry Office. 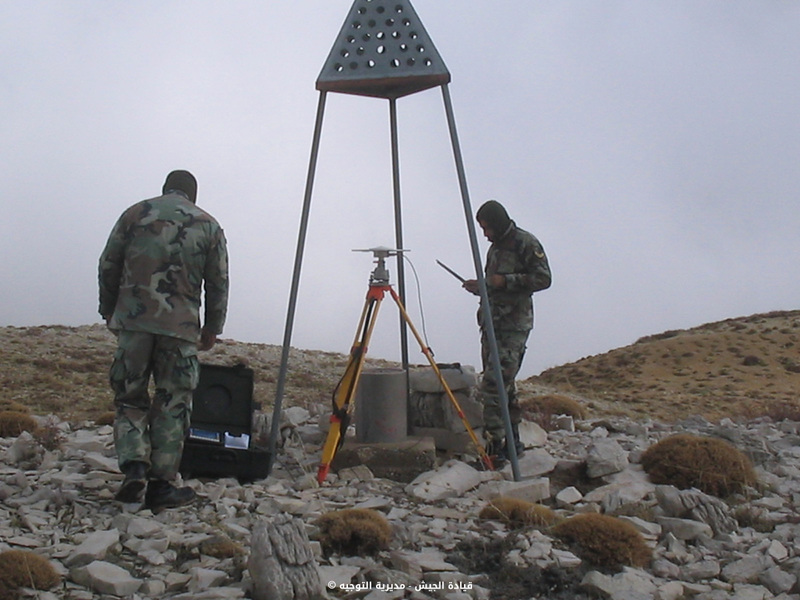 Providing technical departments in all the ministries and independent offices with all the necessary topographic information such as the elements of geodesic and geographic lines and the elevation of the demarcation points. The Directorate of Geographic Affairs performs all the works demanded by State agencies and independent offices that are considered as part of its missions. The Directorate of Geographic Affairs is authorized to perform works demanded by governmental departments, municipalities and public or private institutions at the expense of the concerned parties. The emblem represents the work of the various departments at the Directorate of Geographic Affairs, The arrow/triangle refers to the monument of a geodetic point, Aerial Photography and the North Arrow, The circles inside the arrow refer to Satellites and Satellite Imagery, The green and brown colors represent the Cedar tree, the soil and the military uniform, Longitudes and Latitudes on the Globe that intermediates the Map of Lebanon represent maps and projections, The blue, magenta, yellow and black colors refer to printing and color separation, The badge is enclosed into a black shield with golden edges. It is the symbol of power and protection. The name of the Directorate of Geographic Affairs in Arabic is placed on the lower extremity of the badge. The Directorate of Geographic affairs was established on 6/2/1962 and was correlated to the Army Command with aim of performing geodesic works, surveys, topographic works, organizing maps of different measurements and aerial photography and filming.